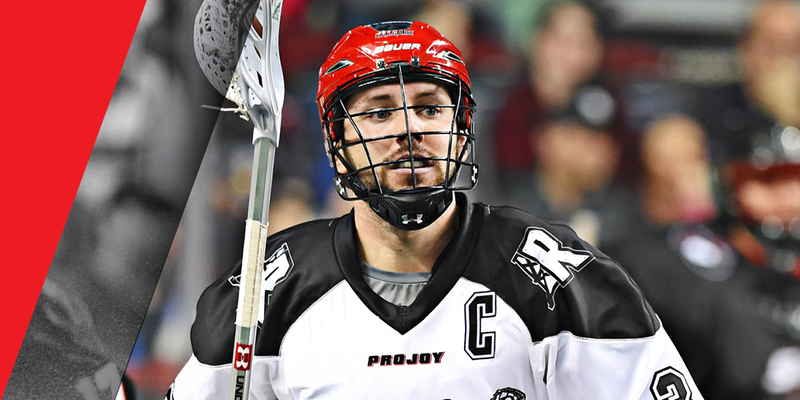 CALGARY, AB – The Calgary Roughnecks Lacrosse Club today announced a leadership transition that will see seven-year National Lacrosse League veteran Dan MacRae wear the ‘C’ for the 2017-18 season. MacRae succeeds Bruce Alexander (2002), Tracey Kelusky (2003-10), Andrew McBride (2011-15) and Mike Carnegie (2016-17) as captain. “The Roughnecks would like to thank Mike Carnegie for providing exceptional leadership over the past two seasons. Mike represented the organization with class, respect and integrity. His experience will be invaluable in helping Dan MacRae transition into his new role,” said assistant general manager and head coach Curt Malawsky. “From the time Dan was drafted by the Roughnecks in 2010, we knew the organization had someone special. To watch Dan mature and grow into an outstanding NLL defender is one thing, but to see him evolve into a leader and now team captain is something that speaks volumes to his character,” continued Malawsky. MacRae, who served as alternate captain from 2016-17, has spent his entire playing career with the Roughnecks. The Oakville, Ontario, native has appeared in 109 career games, recording 78 points (17 goals, 61 assists), 119 caused turnovers and 518 loose balls during that span. The 29-year-old defender was selected by Calgary in the first round, sixth overall, in 2010. Prior to joining the Roughnecks, he spent his collegiate career with SUNY Potsdam and RIT where he was named SUNY’s Rookie of the Year (2007), earned All-SUNYAC First Team honours as a long-stick midfielder in 2008, received USILA All-American and All-Empire 8 accolades in both 2009 and 2010 and was a two-time recipient of RIT’s Defensive MVP award. This summer MacRae completed his first season as head coach of the OLA Jr. A’s Burlington Chiefs. Roughnecks season tickets for the 2017-18 NLL campaign are available for as low as $248 (plus applicable fees). For more information on the exclusive privileges offered to Roughnecks season seat holders, including the flexible exchange program that ensures no ticket goes unused, visit CalgaryRoughnecks.com or contact customer service at 403-777-4646.